AdidasThe UltraBoost sneaker from Adidas’ Parley ocean plastic collection. 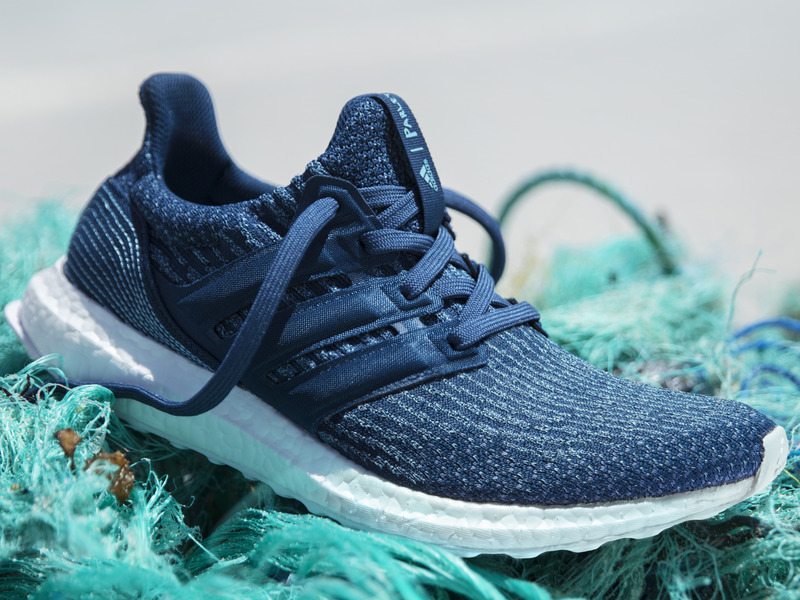 Adidas recently revealed it has sold more than one million pairs of sneakers made ocean plastic with its partnership with Parley. Footwear made from sustainable sources is starting to gain serious prominence, with more companies jumping in. It reveals a new normal as manufactures more beyond traditional sources for cost and other reasons. Adidas’ sustainable footwear initiative is growing legs. The company revealed in March that is has made and sold more than one million pairs of its shoes made from ocean plastic. These shoes use a yarn developed by Parley that turns the ocean plastic into a polymer that can used to construct knitted footwear. Looking at the shoes, they are nearly indistinguishable from a normal pair of Adidas shoes, but the hidden benefits of how they’re made could have lasting implications on the future of footwear. One million pairs of shoes is obviously not very many compared to the millions and millions the company sells on a yearly basis, and the company has been selling the Parley partnership shoes for almost two years now. Still, one million is not a small number, and indicates that the demand is material. Adidas started its partnership with Parley in 2016 with a limited run, but drastically doubled down on it in 2017 with a full collection. Each shoe uses an average of 11 plastic bottles per pair and incorporates recycled plastic into the shoe’s laces, heel webbing, heel lining, and sock liner covers. Adidas isn’t the only one that is doubling down on sustainability. The comfort-focused Allbirds, known for their sneakers made from wool, just released a shoe made from eucalyptus tree fibre. The company boasts that this new material is a rethinking of what material can be made from shoes, and is much more sustainable than traditional methods. Both of Allbirds collections, in fact, are made from predominantly naturally occurring materials. Allbirds’ has seen some success too, and revealed that they have sold one million pairs so far of their wool shoes. AllbirdsAllbirds shoes made with its new Tree material, made with eucalyptus tree fibre. Not to be outdone, the world’s largest sportswear company, Nike, has started rethinking the materials it uses to make shoes. Much of its collections are leather or petroleum based-knits, but a new shoe material it developed recycled leather fibre. Called Flyleather, it bonds together left over pieces of hide forming a new material. 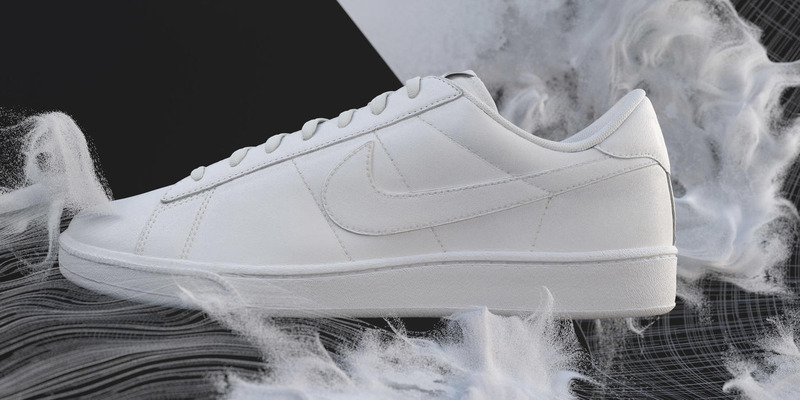 This reduces waste in Nike’s own processes, and makes it creating its traditional leather product more sustainable as well. Nike says it’s the company’s “lowest carbon-footprint leather material ever,” but still feels like perfect premium leather. Sustainable footwear has many obvious benefits. It’s a recycling initiative which the company can use to boast about its green eco-friendly efforts, as well as a way to cut down waste. But it’s also a big bet that this is how all companies will be making shoes in the future when the traditional petroleum-heavy methods become far too costly. It’s a glimpse at a sustainable future, where sneakers made from ocean plastic won’t just be limited to special collections. NikeA shoe made from Nike’s Flyleather.